William J. Bodziak operates Bodziak Forensics and provides consultation and examination of Footwear Impression and Tire Impression Evidence. 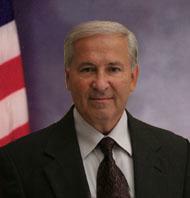 William J. Bodziak (Bill) was assigned to the Questioned Document Section of the FBI Laboratory for approximately 25 years. In that section he conducted the examinations of Questioned Document,Footwear and Tire Impression evidence on a full time basis. He has been court qualified as an expert in these areas in Federal and state courts approximately on 500 occasions. He has received certification in these areas and is the author of the world known textbooks titled FORENSIC FOOTWEAR EVIDENCE (CRC PRESS, 2017), FOOTWEAR IMPRESSION EVIDENCE: Detection, Recovery and Examination, (CRC PRESS, 2000) and TIRE TREAD AND TIRE TRACK EVIDENCE (CRC PRESS 2008). In addition to the many thousands of forensic examinations he has conducted since 1973, Bill has provided training in footwear and tire impression evidence, both domestically and internationally and is regarded as one of the leading experts in the examination of footwear and tire tread impression evidence. His forensic analyses and testimonies include such famous cases as the O. J. Simpson criminal and civil trials, the McVeigh and Nichols Oklahoma bombing trials and the VANPAC bombing trial.